The children have fun as they play 'Santa Say'” with Santa. 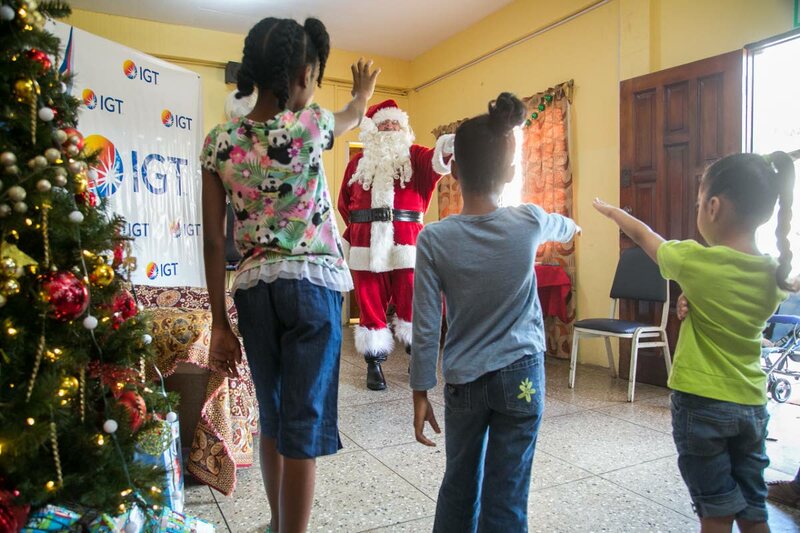 In the spirit of the holiday season, IGT (formerly GTECH) staff came together and made this Christmas a truly memorable one for the children at Amica House, on December 2. 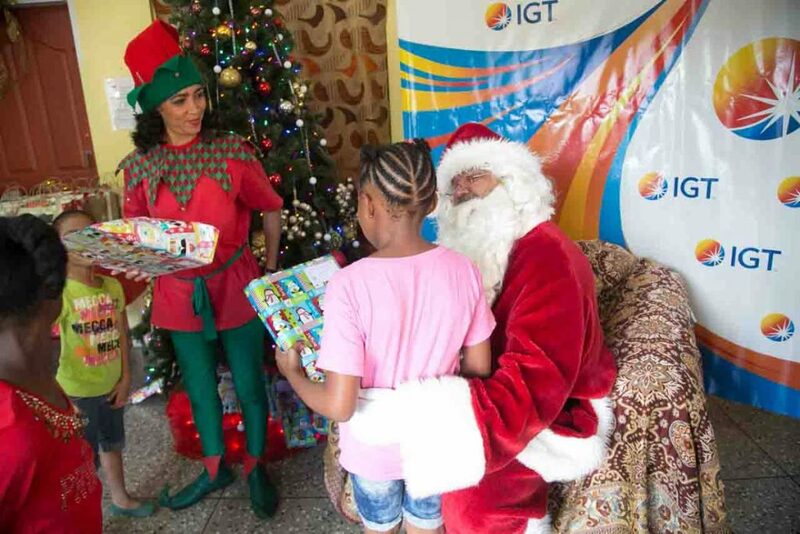 The IGT team led by Shavindra Tewarie-Singh, human resource manager, hosted the children, Sister Jude Marie Aird, administrator of the Home and her staff to a Christmas luncheon complete with Christmas carols and Parang music. Patricia Johnson, Procall Representative II, IGT demonstrates the art of balloon design to this child. 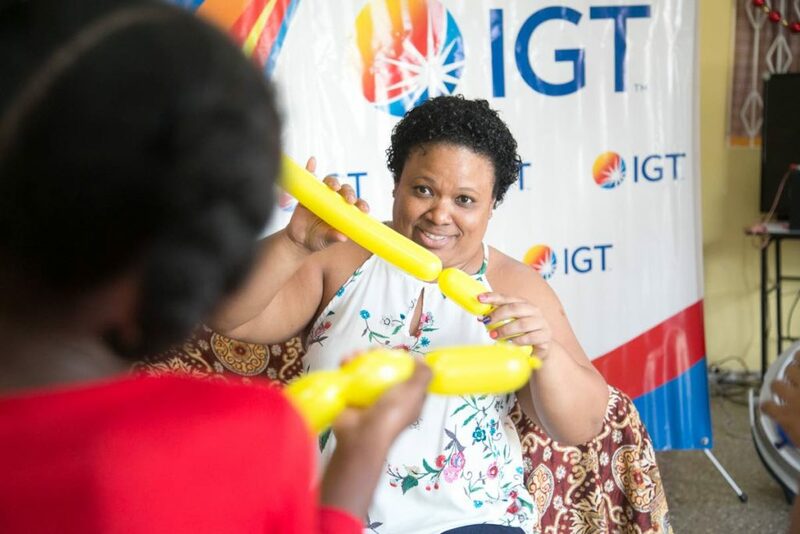 IGT staff planned a fun-filled afternoon of activities and played a variety of popular games with the children creating memorable moments, good cheer and a healthy dose of laughter. The day’s festivities were capped off by a visit from Santa, who cheerfully greeted and chatted with the children. Assisted by his elf, Santa then presented each child with a personalised Christmas gift bringing smiles to all of their faces. Santa chats with this little one as she receives her present. Looking on is Santa’s elf. A delighted Sister Jude Marie Aird said, “I wish to thank IGT for their thoughtfulness in making this afternoon an unforgettable one for the children and staff.” The children each received a goody bag filled with a variety of items from members of the IGT team. Amica House located in Curepe has been operating for the past 16 years and provides a safe haven for socially-displaced children. The Home, which currently has 17 children, is also the beneficiary of IGT’s After School Advantage Programme, an initiative that reaches out to less fortunate children, by partnering with non-governmental organisations (NGOs) in communities throughout TT to set up computer labs. As part of its commitment to communities where the Company conducts business, IGT’s After School Advantage Programme focuses on education, youth and technology and assists in bridging the digital divide. 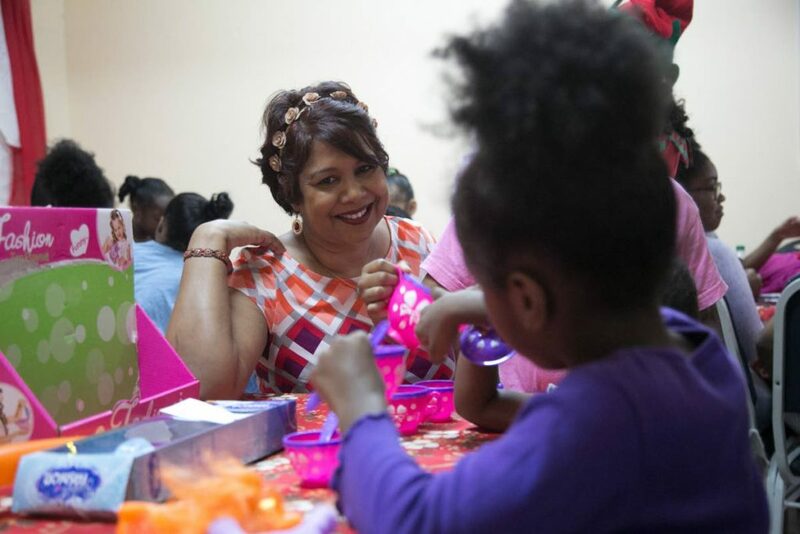 Shavindra Tewarie-Singh, human resource manager at IGT, has 'tea' with the children of Amica House during the Christmas Luncheon. The partnership was established in July 2013, when IGT donated much needed computers, chairs and refurbished the computer room at Amica House. IGT’s Christmas luncheon, is an extension of the After School Advantage Programme and is the company’s continued commitment to the children, management and staff at Amica House. Reply to "IGT and Amica House create memorable moments"